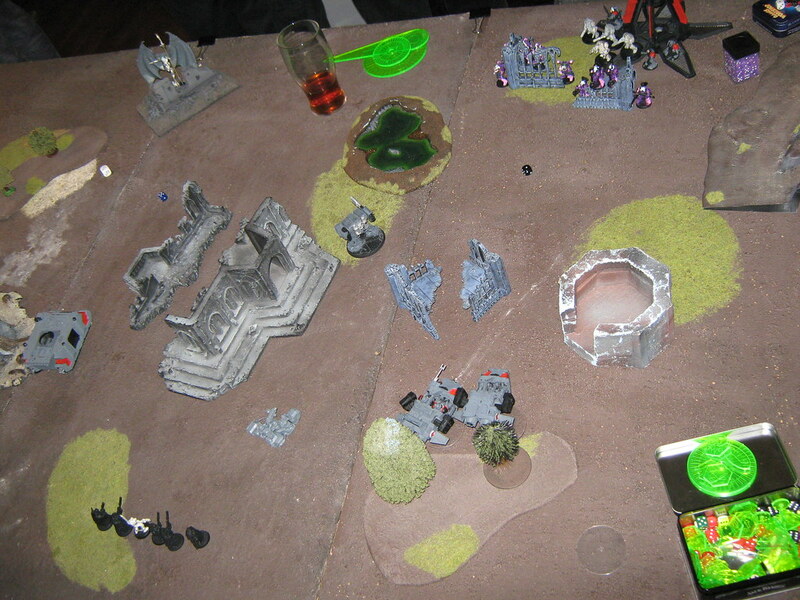 Space Wolves: 1x VenDread-ML/TL-AutoCannon, 2xLand Speeder Tornados, 1xAttack bike-MM, 1xRune Priest+8Grey Hunters in Drop Pod, 1xWolfGuard Battle Leader+7xWGBGs (4 ACs/LC/PF+3LC/SS) in Drop Pod, 6 Scouts-Sniper Rifles, 6xGrey hunters in Rhino. 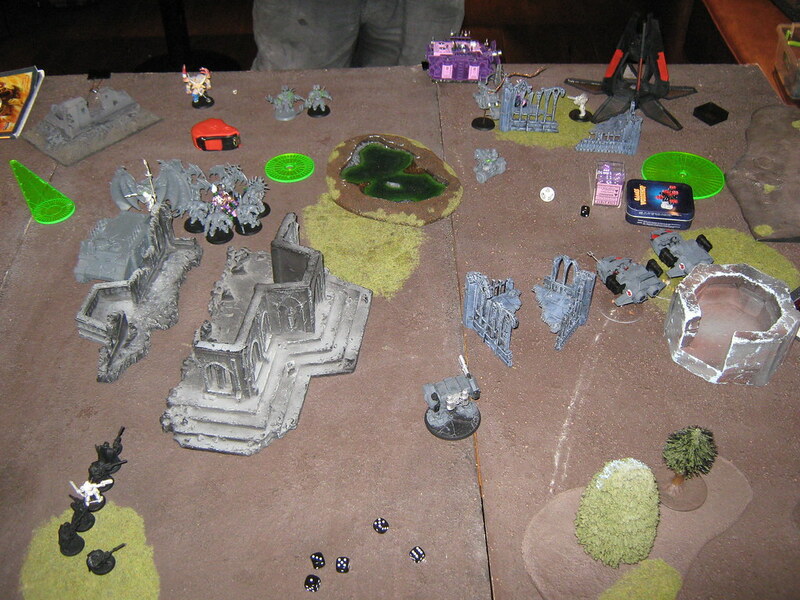 Slaanesh: 2xDaemon Princes, 1xGreater Daemon, 3xNoise Marine squads, 1xHavocs, 2x Vindicators, 2xObliterators, 4xTermies. 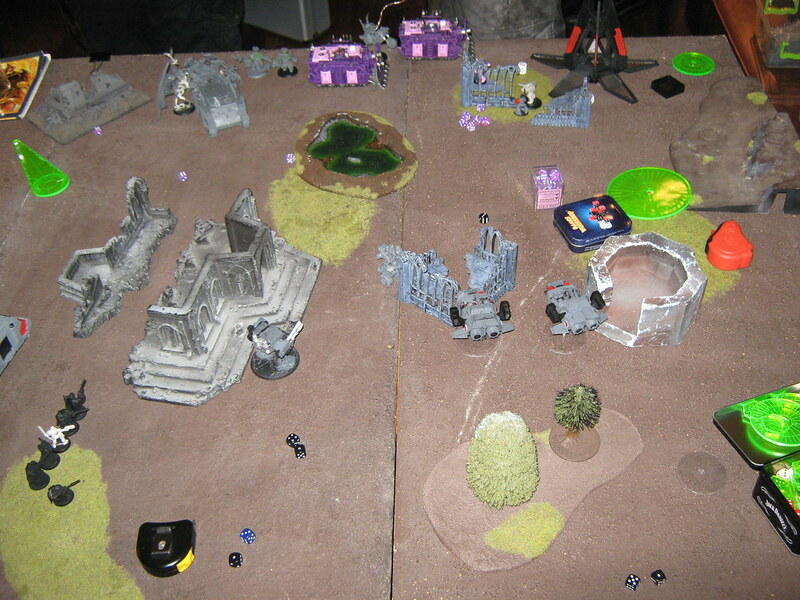 Other Drop pod with Wolf Guard Battle Leader + 3 termies & 4 PA Wolf Guards come down behind two squads of Slaanesh marines. 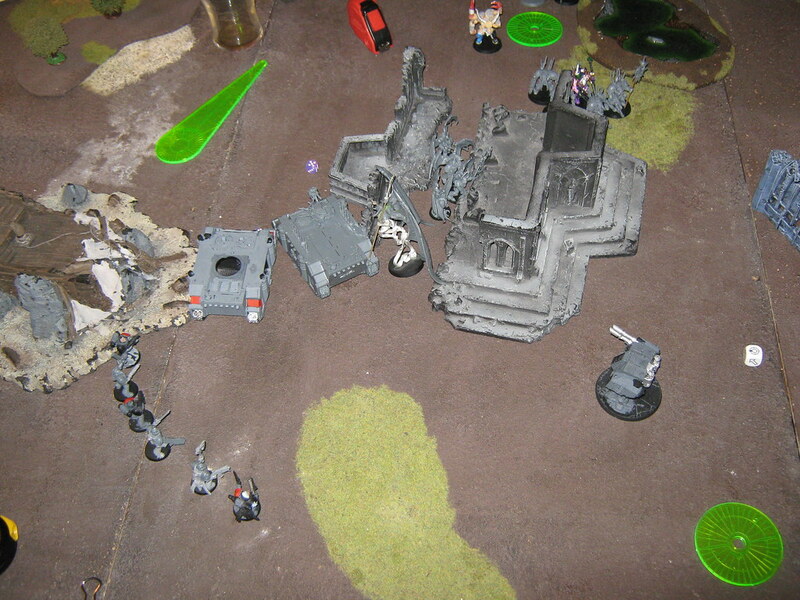 Venerable Dreadnought with Missile Launcher and Twin-Linked Autocannon And Razorback with 6 Grey hunters deploy as far forwards as possible. 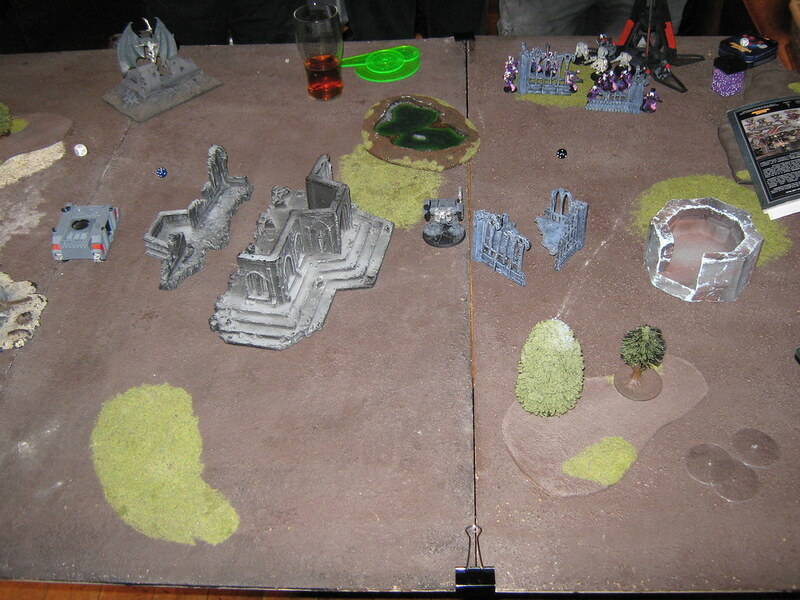 The venerable dreadnought takes a glancing hit and is shaken for a turn. 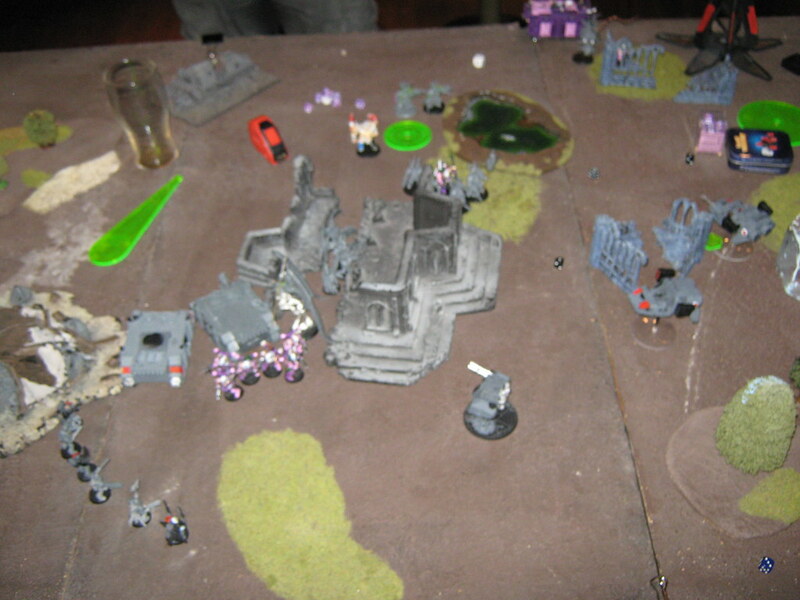 The lone remaining WG Termie and WG in PA shoot and charge one unit of slaanesh marines and destroy them. 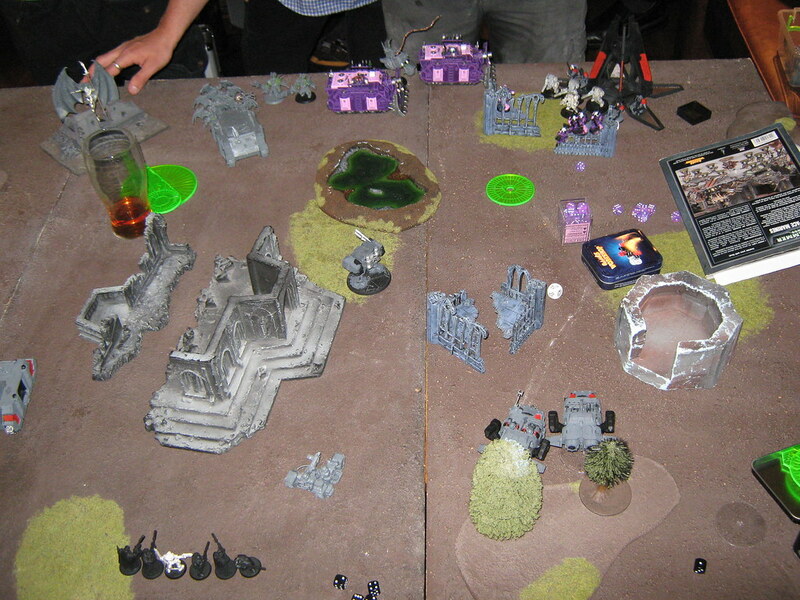 A greater daemon comes in and takes over one of the havocs. 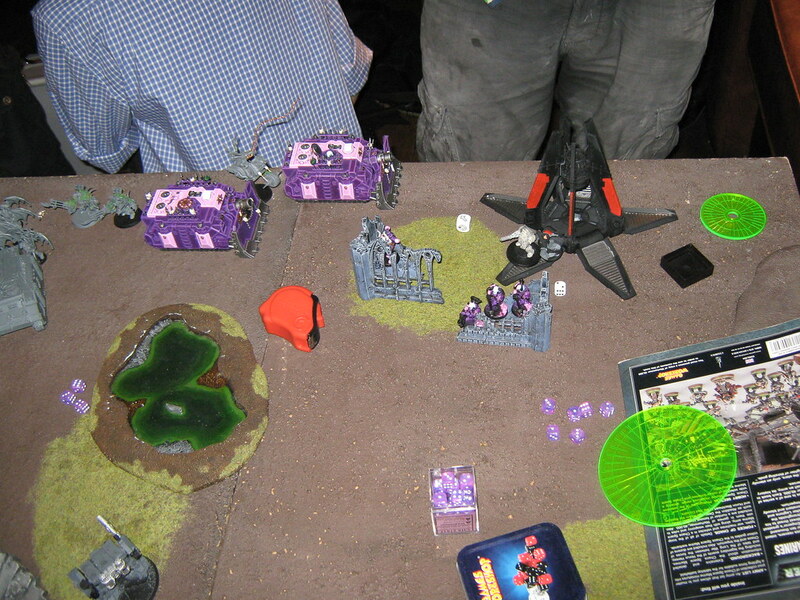 A unit of termies deep strike in. 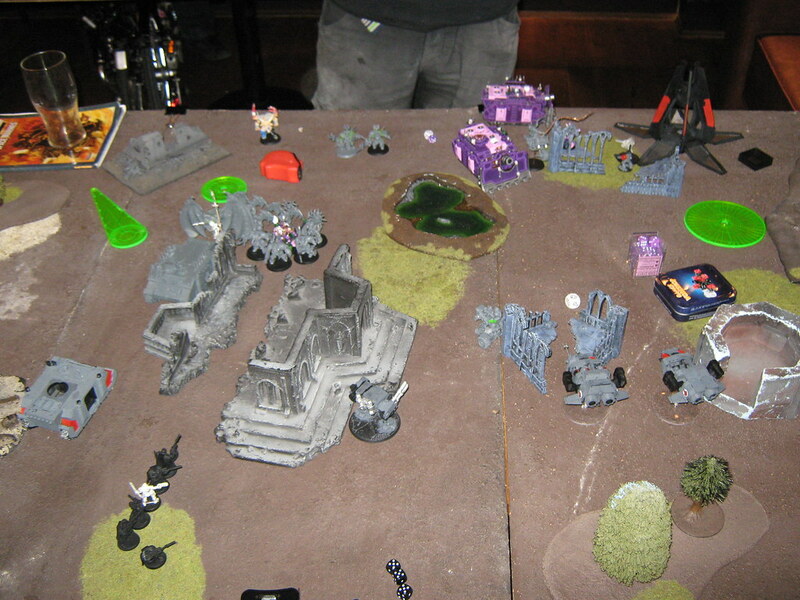 The rest of the chaos army surges ahead. 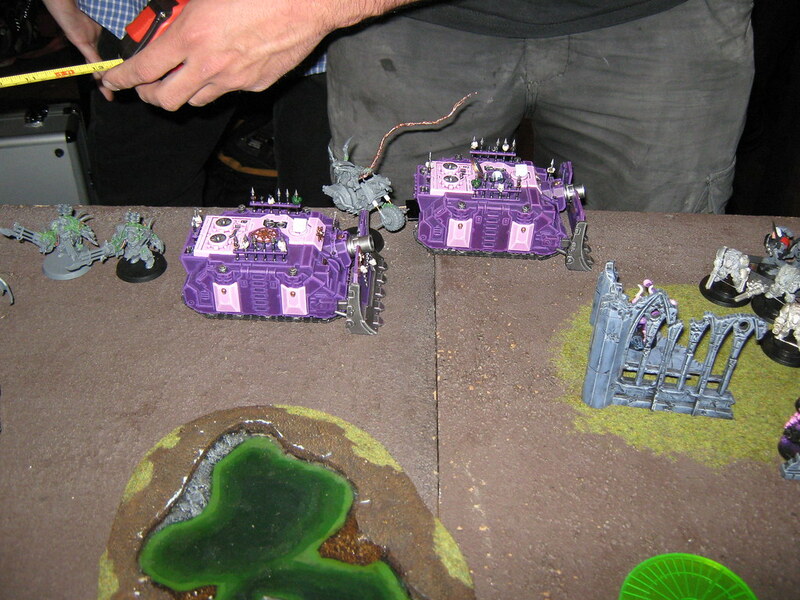 Attack bike with Multi-Melta drives up and destroys one Vindi. 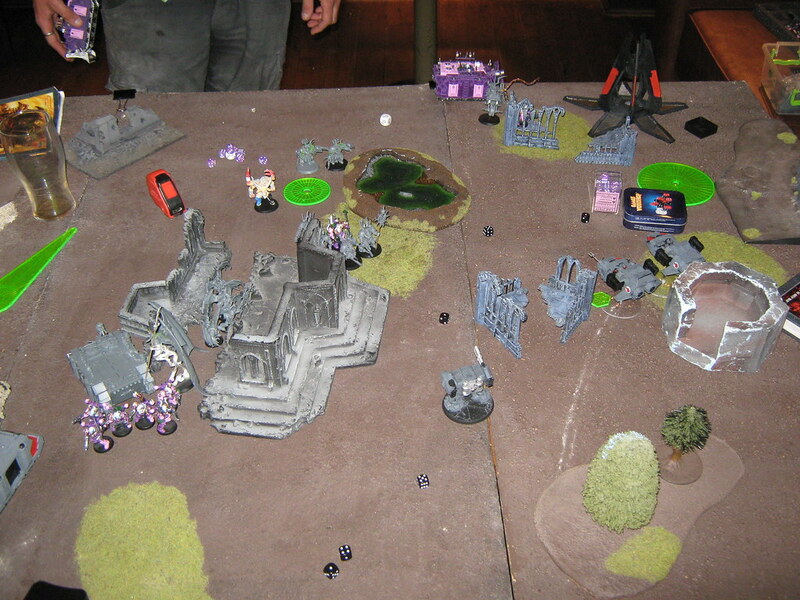 Venerable Dreadnought & Land speeders shoot at the Obliterators, but fail to do any damage. At this point we stopped the game. 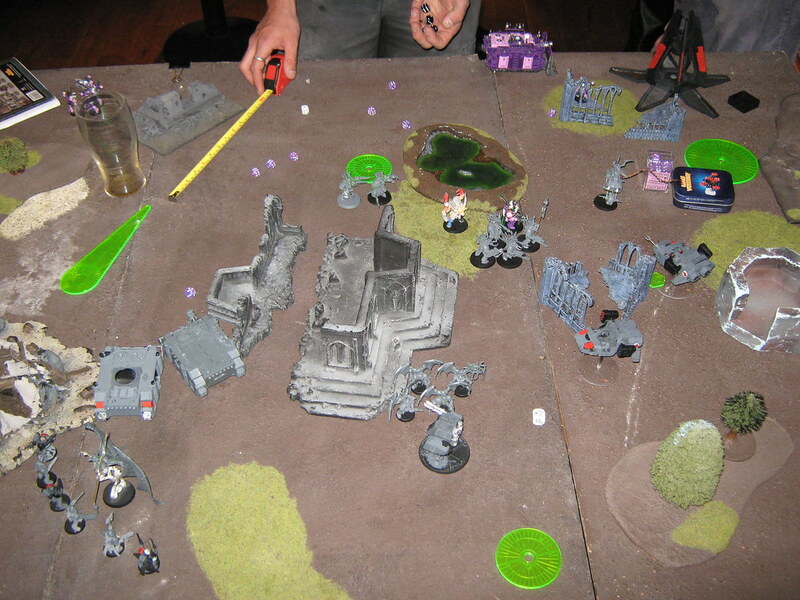 It was still a good game as my opponent is a relaxed guy who is pleasant to play against.